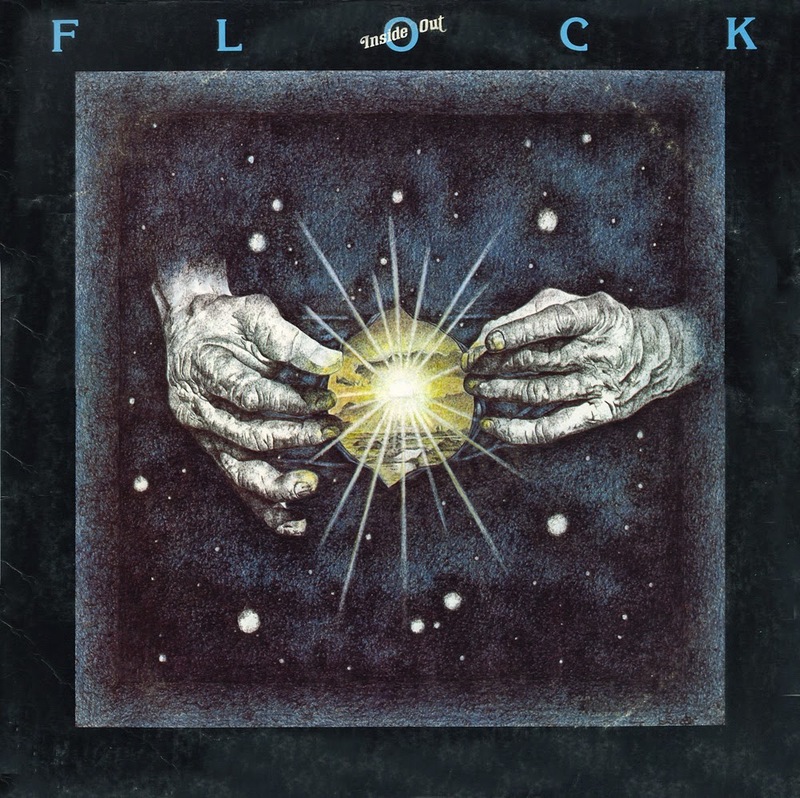 Forming in late-'60s Chicago, the Flock forever languished in the shadow of the Chicago Transit Authority (later famous as just plain Chicago), whose peculiar approach to art rock -- incorporating horns and other unorthodox instrumentation into rock and jazz forms -- they also pursued. But though they clearly lacked Chicago's smash-hit-penning abilities, the Flock possessed a secret weapon in masterful violinist Jerry Goodman, and their genre-smashing compositions were often even more extreme, if not exactly Top 40 material. 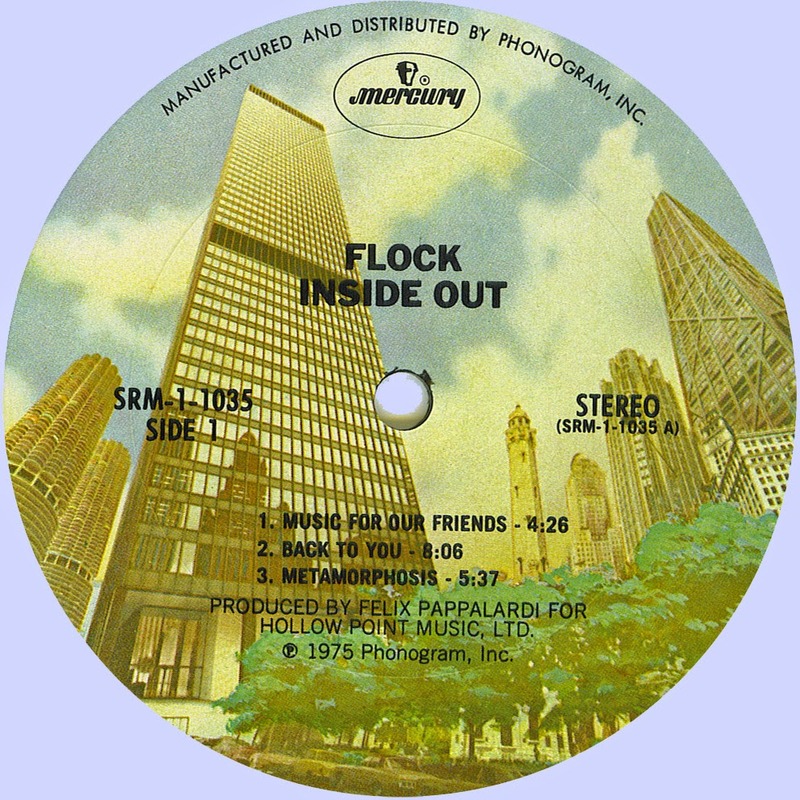 Inside Out recorded in 1975 after several line up changes. The only original members where the lead vocalist and guitar player Fred Glickstein, together with rhythm section, bassist Jerry Smith and drummer Ron Karpman. The album produced by Felix Pappalardi and has the kind of the progressive style in mid seventies, the horn parts gave their place to keyboards, but the violin still shares some long parts. The compositions aren't bad, instead, sometimes they take off thanks mainly to the ability of the musicians, but in the end, you have the feeling that something is missing, something is not completed. After that the band did few recordings which later released as "Heaven Bound – The Lost Album", the band stuck at a crossroads yet so hopeful for a new record deal that unfortunately never came. *Felix Pappalardi - Backing Vocal On "Straight Home"